Full Kit includes- MeatHook Bar, 14" high bars to suit 7/8" grips and 1" risers. 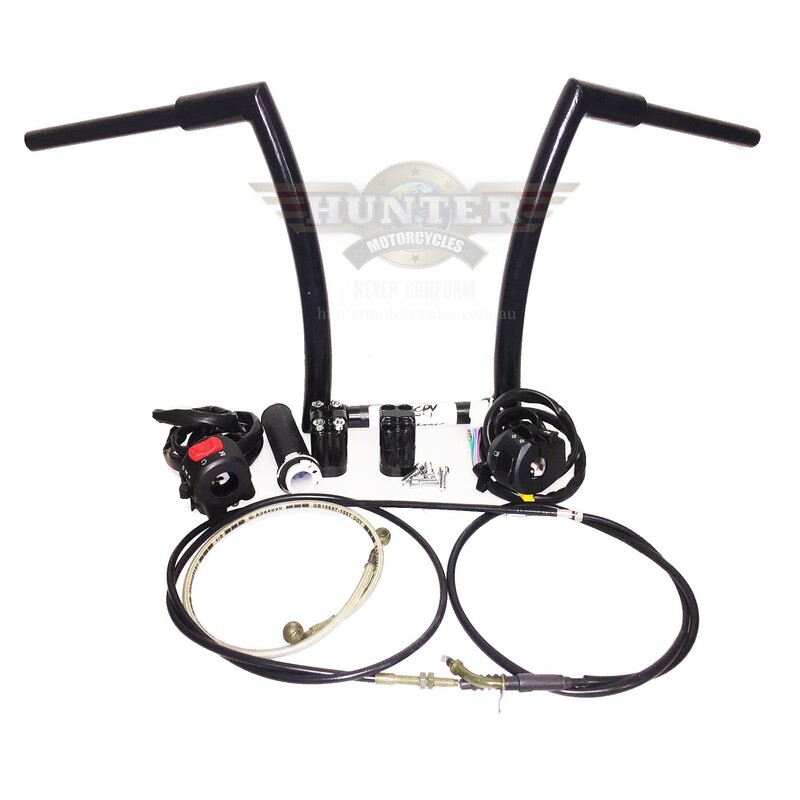 Includes brake hose, throttle cable, clutch cable, switch blocks with extended wiring, left grip and Risers. - Note incorrect Grip pictured.